Use our self-service marketing platform to find Instagram influencers that will reach you to promote your product to their followers. How do I find Instagram influencers using the search engine? You can use our influencer search engine to actively look for Instagram influencers who have joined our website. Let's see how. 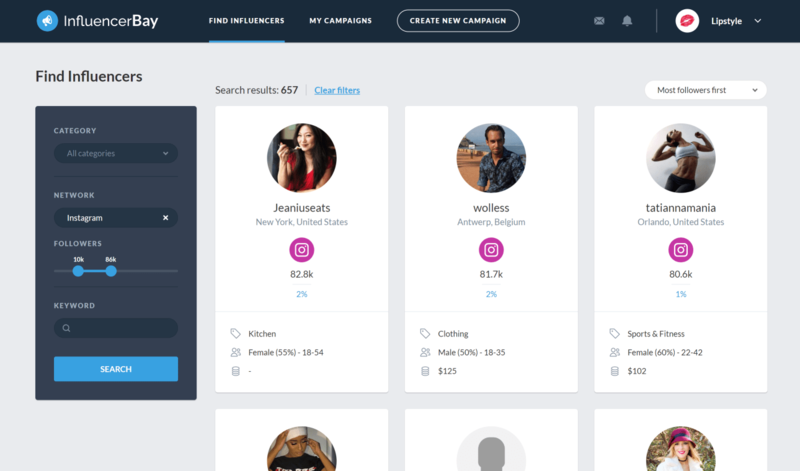 Go to the influencer search engine and use our filters to spot the perfect influencer for you. Select "Instagram" in the "networks" field and set the other filters (number of followers, category ...) as you like. 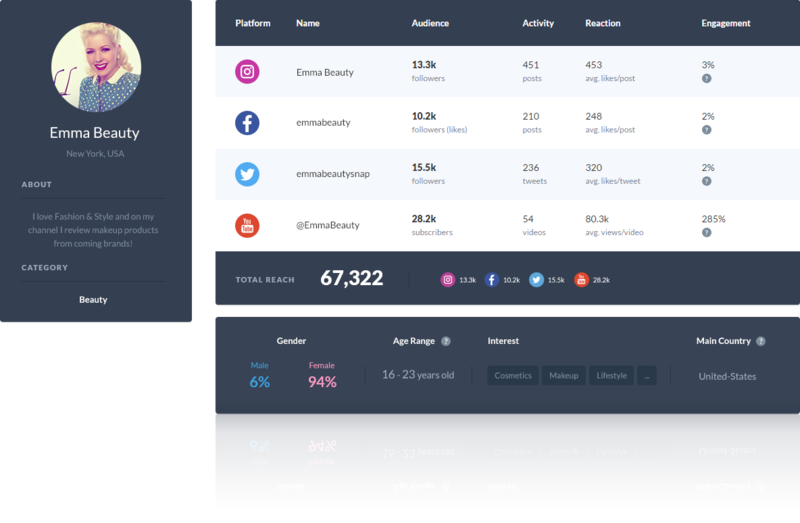 You can click on the search results and see a more detailed view of the influencer's features: networks, engagement rates, audience information ... If you like what you see, click on the "Hire" button! 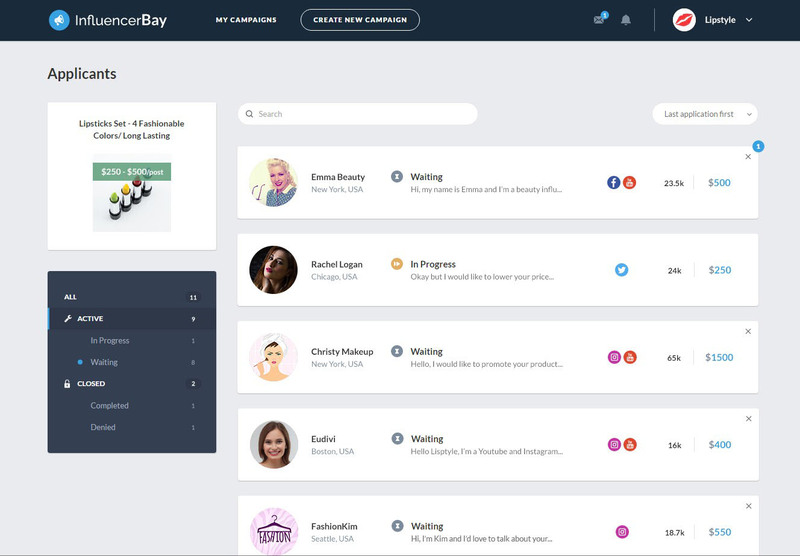 The influencer will get a notification and you'll be able to work with him on one of your InfluencerBay campaigns. How do I find Instagram influencers using a campaign? 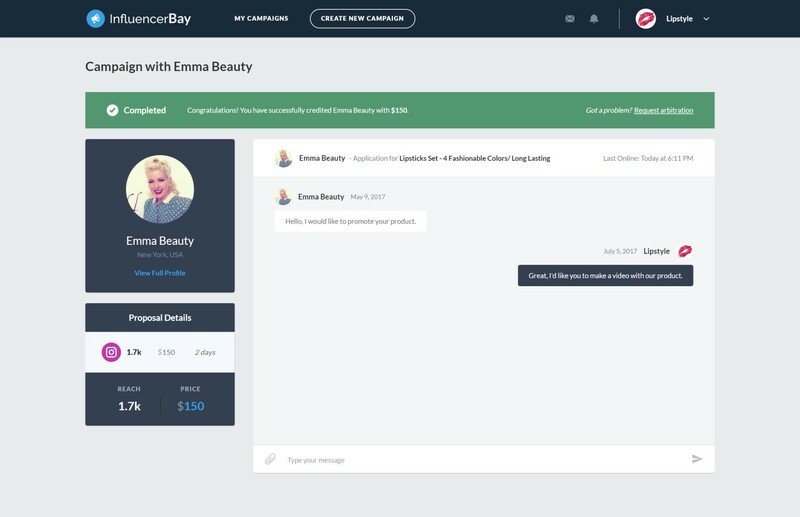 On InfluencerBay, you can create a campaign and let Instagram influencers come to you. Let's see how. 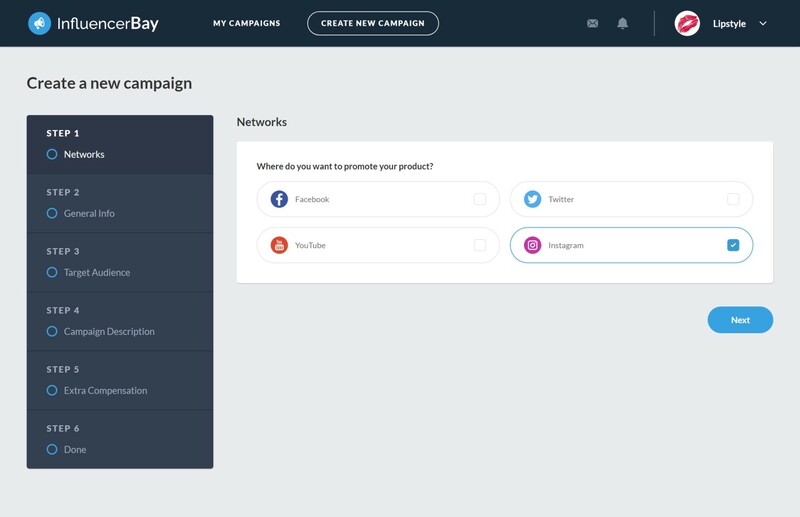 Signup to InfluencerBay, create a campaign and select "Instagram" (or more) for the networks you'd like to advertise on. Describe your product you'd like to advertise and the compensations for the influencer and start the campaign! Instagram Influencers in your industry will reach you with proposals. They are willing to promote your product to their followers. Work with the best influencers among those who made a proposal. We give you statistics about their audience and their other networks so you can make the best choice. Let the Instagram influencers create and publish content about your product (photo, video) and see how their followers react! 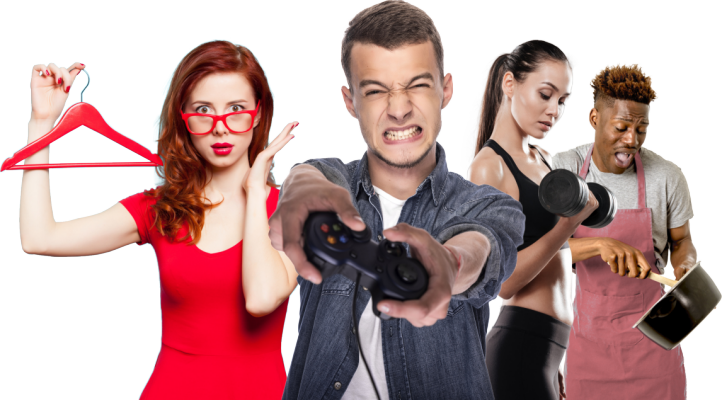 Find Instagram influencers in Fashion, Beauty, Lifestyle, Food, Sport, Video Games, Health and more! Don't wait any longer. 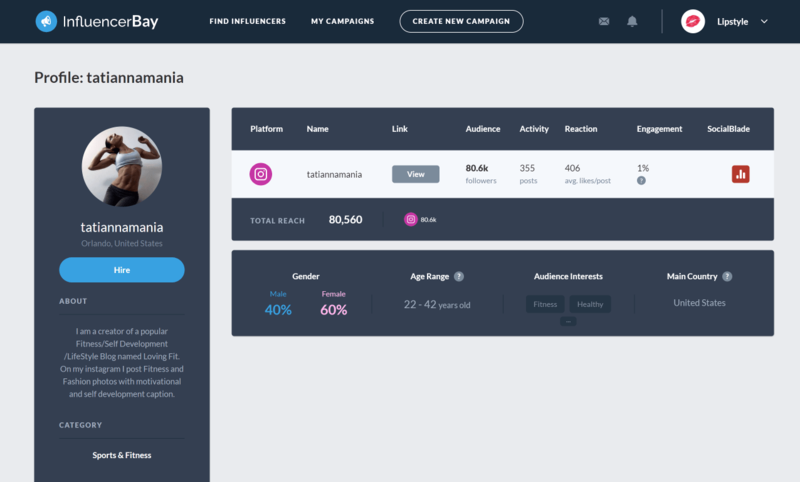 Create your first campaign to find Instagram influencers!